Trying to keep your New Year’s resolution to get in shape but need new headphones? Consumer Reports has some tips to find the right pair and give you one less excuse to skip the gym. Testers analyze dozens of models of headphones each year for sound quality, features, comfort and fit. “That’s especially important, the fit factor. When you’re out for a run or at the gym, you don’t want to find out 20 minutes into your workout that you’re getting pain in your ears,” said Thomas Germain, Consumer Reports tech editor. That’s why you should try on headphones, if you can, to see how they fit before you buy them. Many people choose wireless Bluetooth models, in part because some smartphone manufacturers, like Apple, have dropped the headphone jack. “A lot of headphones that are marketed as wireless still actually have a cable or a cord that connects to two earpieces. But there are some which are called true wireless headphones. 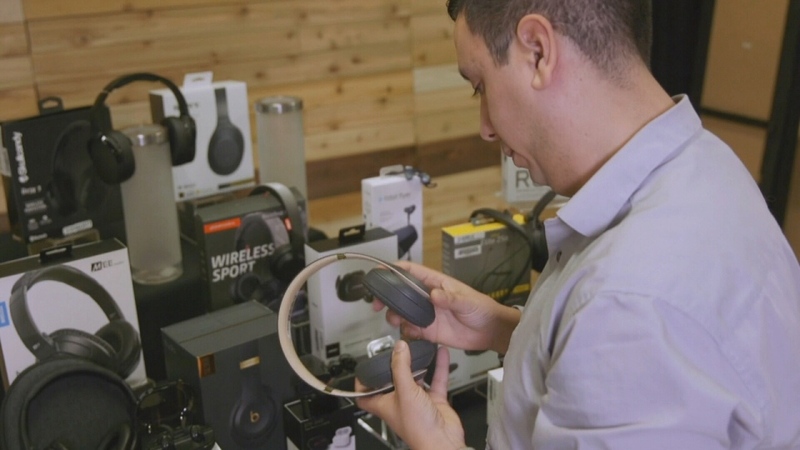 True wireless headphones don’t have a cord or a cable connecting the two earpieces, which gives you even more flexibility,” explained Germain. The downside to true wireless headphones is they typically have a shorter battery life and, they’re easy to lose. When considering headphones, it’s important to figure out what kind of exercise you may use them for. “If you’re going to run outside, some noise cancelling headphones are adjustable so you can let in more or less sound from your environment,” Germain said. If you want a pair you can take in the pool, Consumer Reports recommends the JBL Endurance DIVE for $130. If you work out at a gym but don’t really like the music they play, the $200 Sony WI-SP600N received very good scores for noise-cancelling and sound quality. The popular Apple AirPods did not do as well in testing, receiving an overall score of 56 out of 100. And for those who do extended workouts, like long runs or hikes, make sure you check the battery life before heading out, especially if you plan on going wireless.